While perusing my favorite health food store I was intrigued by a can of raw Coconut Crystals boasting a very low glycemic index, as well as many other healthful attributes. It is a sweetener that can be used as a sugar substitute one to one. It doesn’t taste like coconut, is made from the tree sap dried with low heat to preserve its live enzymes, rich vitamin and mineral content, as well as 17 amino acids, making it perfect for weight loss, diabetics, and anyone who likes to be healthy. Being a culinary adventuress, I had to try it. It tastes like sugar and is great for baking and sweetening most anything. 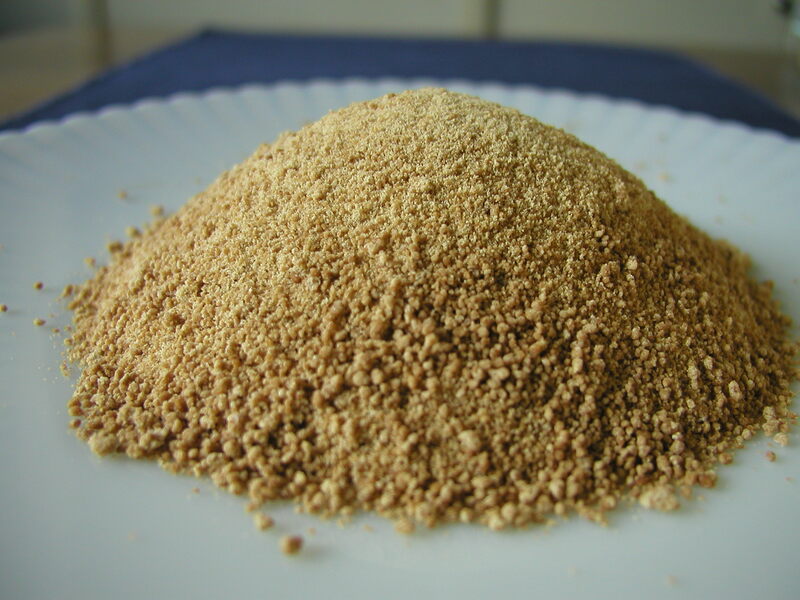 It dissolves easily in liquid and is the color and texture of demerara sugar. I came up with a delicious cookie recipe using coconut crystals that tastes great on its own. 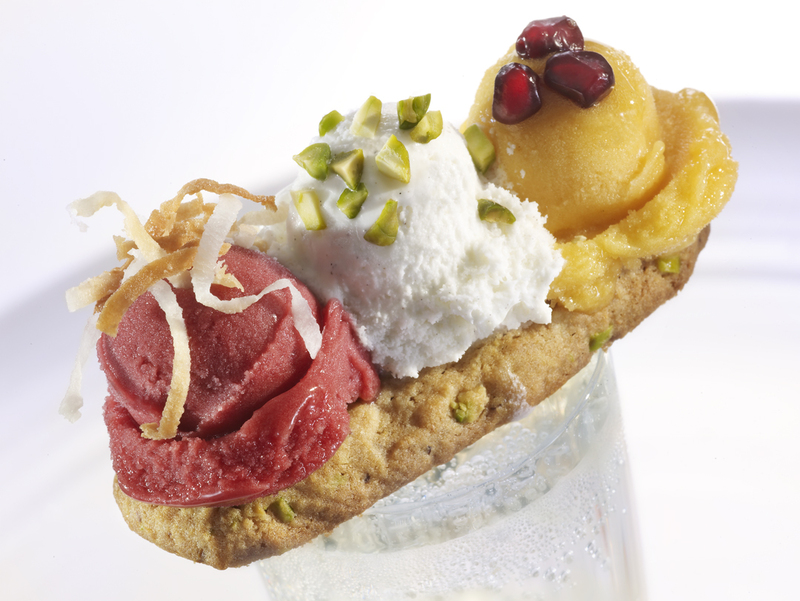 I added pistachios formed the cookies into small bars and served them as mini sorbet sundaes with champagne. I used a tiny butter scoop to make raspberry and mango sorbet and vanilla ice cream balls. I topped the balls with toasted shredded coconut, chopped pistachios and pomegranate seeds.